Yes, this holiday cookie recipe is a bit late to the party – but I’m sharing it today as my silly food-bloggy way of commemorating some new-life-news: believe it or not, I’m a married lady now! After 11 years together, Grant and I finally made it official over new year’s weekend and held a tiny elopement ceremony overlooking Seattle’s waterfront in a gondola aboard the Great Wheel. Love is magic – feels good, man! The New Year is my favorite holiday, but there’s one sad thing about January: no more eggnog! If you’re a nog-lover like me, these cookies make a good antidote for the withdrawals. I’ve been making a bunch of homemade almond milk, which means I’ve been doing lots (and lots and lots) of experimenting with applications for the leftover pulp. Wedding cookies, with their signature toasty ground nuts, seemed like a natural fit for this job. After squeezing “milk” from soaked nuts, the leftover pulp can be toasted straight away (no need to dehydrate first). 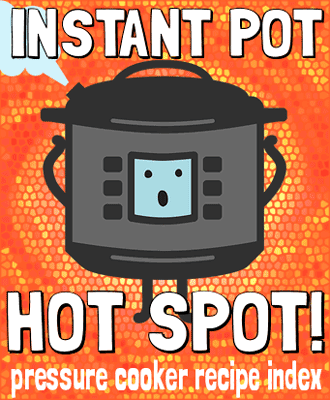 This also conveniently preheats your oven for the cookie baking – win win! I’ll need to write a post about my new almond milk habit one of these days, but in the meantime you can get the gist of the process in this old one about DIY Walnut Milk. Any other habitual almond-milkers out there? If you’re interested in recipes for the leftover pulp, leave a comment and maybe I’ll start sharing more! Begin by toasting the almond pulp. Preheat oven to 375 F and line a large baking sheet with aluminum foil. Spread the almond pulp in a thin, even layer over the sheet. Bake for about 30 minutes, until it begins to turn golden brown and fragrant. Let it cool for at least a few minutes before adding to the dough. You should end up with roughly 2 cups of toasted nut pulp. Either by hand or with an electric mixer, cream the butter until light and fluffy. Mix in the powdered sugar and vanilla, then the flours, then the toasted almond pulp. Cover the dough (don't use plastic wrap, use your butter wrappers!) and chill in the refrigerator until firm, at least 30 minutes. While the dough chills, prepare the topping: measure the powdered sugar, nutmeg and salt into a shallow bowl, and mix to combine. 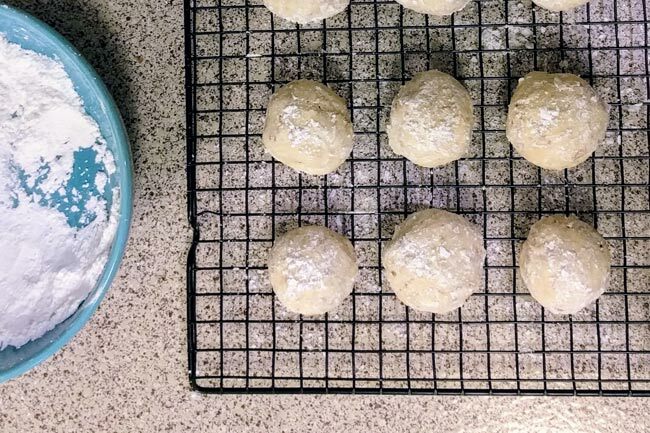 After the dough has chilled, use a teaspoon to scoop very small, bite-sized cookies and use your hands to roll them into balls. Place the cookies on a parchment-lined baking sheet (they do not spread and can be placed quite closely together). Bake at 375 F for about 15-18 minutes, until the bottoms are golden and the cookies are firm to the touch. Within 5 minutes after baking, roll the warm cookies in the powdered sugar topping to coat the entire surface, then transfer to a rack to cool. After fully cool, store cookies in an airtight container and consume within a week.